Redlands, California—Esri chief scientist Dawn J. Wright, PhD, has been named a 2016 fellow of the Geological Society of America (GSA). GSA recognizes its fellows for their distinguished contributions to the geosciences through research, teaching, and enhancing the public's awareness of geology. Wright has partnered with scientists during the last 20 years to expand the use of geographic information system (GIS) technology to analyze terrains, ecosystems, and habitats. She is recognized for her research on mapping and tectonics of the ocean floor and for her leadership in adapting GIS to the marine environment. 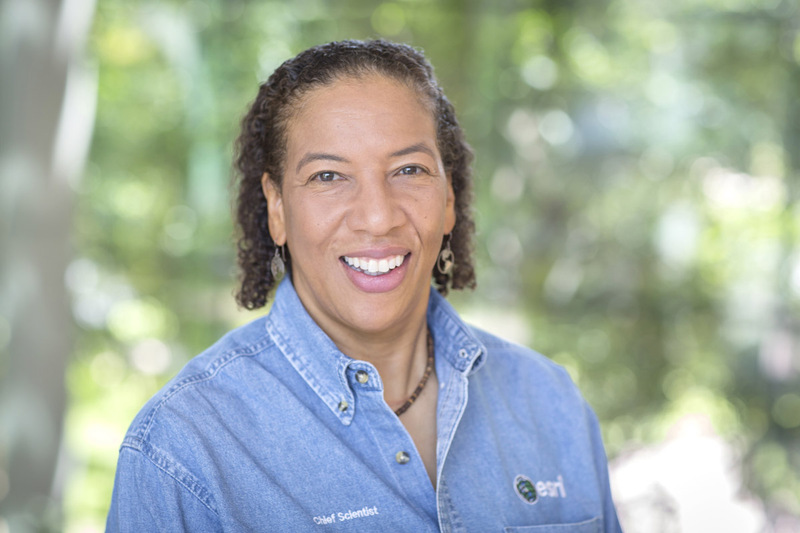 Also, for her service to the geological community, she is honored as the 2015 recipient of the GSA Randolph W. "Bill" and Cecile T. Bromery Award for Minorities, which recognizes a lifetime of achievement in geoscience. In addition to her role as chief scientist at Esri, Wright is a professor of geography and oceanography at Oregon State University. She serves on the Science Advisory Board of the National Oceanic and Atmospheric Administration (NOAA), the Science Advisory Council of Conservation International, and the board of COMPASS. Wright has combined her expertise as a geographer and GIS user to map the seafloor, design geospatial solutions for coastal mapping and charting, and advise organizations on oceanography and marine spatial planning to ensure that the oceans and their resources are well managed. For more information on how GIS empowers scientists like Wright to research, analyze, and impact marine environments, visit go.esri.com/pr-oceans. Established in 1888, the Geological Society of America focuses on advancing the geosciences, enhancing the professional growth of its members, and promoting the geosciences in the service to humankind and stewardship of the Earth. This international scientific organization provides access to elements that are essential to the professional growth of earth scientists at all levels of expertise and from all sectors: academic, government, business, and industry. The Society's growing membership unites thousands of earth scientists from every corner of the globe in a common purpose to study the mysteries of our planet (and beyond) and share scientific findings. Learn more at geosociety.org.